A new warm weather go-to has arrived in the Born Manta sandals. 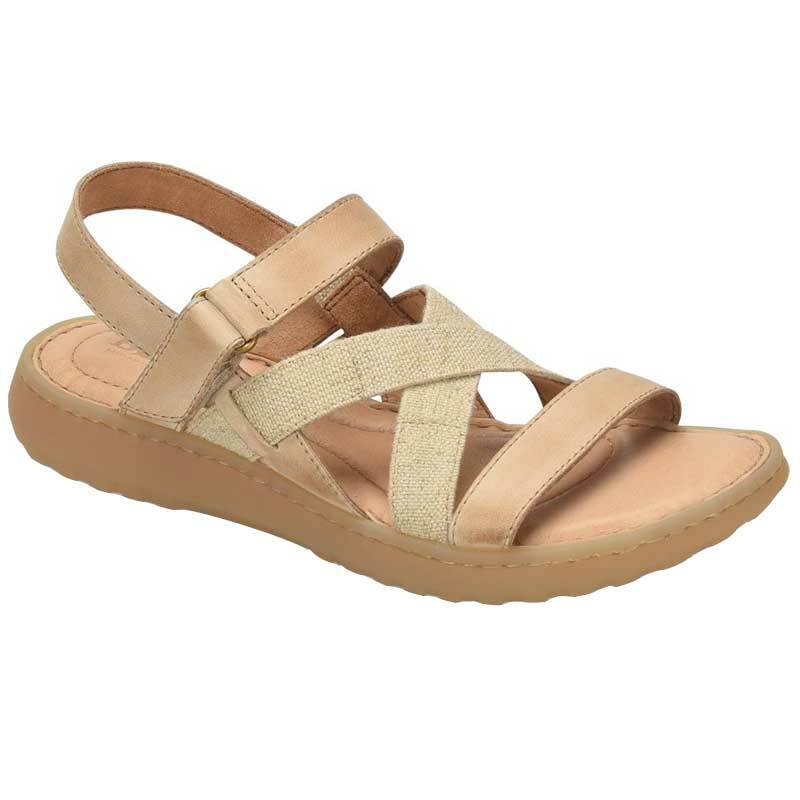 The uppers of this women's sandal feature full grain leather across the toes and ankle, and criss-cross elastic straps on the vamp for easy on/off and a flattering fit. Featuring Opanka hand-crafted construction and a leather lining for easy break-in time, the Manta also has a cushioned footbed for lasting underfoot comfort. An adjustable strap provides a customized fit and a rubber outsole keeps you surefooted during summer adventures. Enjoy summer to the max in the Born Manta. I could not be more delighted with this transaction. Couldn't find this shoe anywhere in the country (literally) because they were so popular, but had the good fortune to come across Dodds. Professional, FAST, ONE THIRD THE PRICE ELSEWHERE, and I love the sandal. A small thread has come unstitched, but that is Born's fault, not Dodd's. I have no problem having it taken care of here, no way am I sending them back! Love the shoe, and will check the Dodds site first from now on. Thanks!